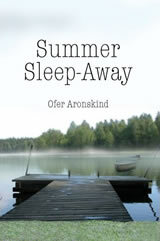 "Summer Sleep-Away" is a tale of a young boy's first summer going off to sleep away camp. Far from home, separated from his family and not knowing a soul, Mattie Kleinfeld is scared, homesick and cries himself to sleep. But soon the tears give way to new friends and fantastic adventures. Mattie goes hiking and fishing. He sails and swims and participates in team sports. 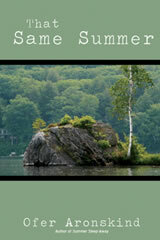 But it is not the canoe trips or the overnights that set this summer apart; it is not even his first girlfriend. It is a clue that he and his pals stumble upon that leads them to the adventure of a lifetime, to a vast treasure and to a window that sheds light on Mattie's unique background. Mattie's story will engage the imagination of every reader and capture the heart of any adult who was ever a kid. When Ari reads his best friend Mattie's book called Summer Sleep-Away he decides that he needs to tell his version of that amazing summer away at camp. Ari proceeds to fill in the gaps that Mattie's tale leaves out. From the crazy capture the flag game to the nighttime commando operations, and from color war to judgment night, Ari takes the reader into the world of sleep-away camp. With each adventure the story line builds until it explodes into an unforgettable ending. That Same Summer is a must read for anyone who was ever a kid. When Mattie Kleinfeld tells his friends that his summer camp girlfriend, Nicole, is in New York City for the weekend, they dare him to ditch school, hop a train and go into the big city to find her. Unable to say no to a dare, Mattie takes up the challenge and soon the four of them find themselves in the heart of Manhattan and in a whole lot of trouble. With money in short supply, they scam their way from the depths of the subways to the top of the Empire State Building and every tourist stop in between. The action never stops as the four friends fight off would-be muggers, escape museum guards and outwit a deranged cabdriver. With each crazy exploit, the reader rides a roller coaster of adventure from one end of the city to the other. 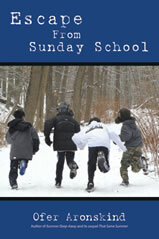 "Escape From Sunday School" is a must read for any kid who has ever sat in class daydreaming of cutting school and playing hooky.